SATURDAY, May 31 (HealthDay News) -- A drug used to treat osteoporosis lowered the risk of breast cancer recurrence in premenopausal women with early breast cancer. The Austrian researchers also found that women who took Zometa (zoledronic acid) had a 30 percent lower risk of the cancer spreading to the bone, with other benefits as well. "We found not only an effect on bone metastases, which one might have anticipated, but also on local regional recurrence, distant bone metastases and contralateral breast cancer," said study author Dr. Michael Gnant, a professor of surgery at the Medical University of Vienna. "The indication is that zoledronic acid exerts a benefit through a variety of mechanisms which, all together, create a tumor-hostile environment..."
Gnant, who presented his findings this weekend at the American Society of Clinical Oncology annual meeting in Chicago, spoke at a Saturday news conference. The trial was partially supported by Novartis, which makes Zometa. Earlier studies had indicated that Zometa can reduce bone loss occurring as a result of cancer treatment, and that it might also have an effect on the cancer itself. For this trial, researchers randomized 1,803 patients to one of four arms: hormone therapies tamoxifen or Arimidex (anastrozole, an aromatase inhibitor), with or without Zometa. Tamoxifen stops estrogen from reaching cancer cells while Arimidex interferes with actual production of estrogen. The hormone estrogen fuels breast cancer cells in estrogen-receptor positive tumors. All patients were undergoing drug-induced ovarian suppression (to stop production of estrogen), had had surgery to remove the primary tumor, and had seen the cancer spread to 10 or fewer lymph nodes. Treatment lasted three years. After a median follow-up of five years, either hormone therapy plus Zometa reduced the risk of relapse by 36 percent compared with hormone therapy alone. There were no unanticipated side effects, and the drugs were generally well-tolerated. "The overall outcome of patients in this trial was excellent," Gnant said. "This is reassuring that patients with endocrine [hormone]-response disease, even in premenopause, can be safely treated with adjuvant chemotherapy. The benefit was seen in and outside the bone." Although about 5 percent of participants had had chemotherapy before surgery to shrink the tumor, none received later chemo. In Europe, breast cancer patients are commonly treated with endocrine therapy alone," said Dr. Joanne Mortimer, vice chairwoman of medical oncology at City of Hope Cancer Center in Duarte, Calif. In the United States, some, but not all, women in this group are treated without chemotherapy. "This is not a trial about hormones instead of chemo. It's about Zometa," Mortimer said. "We know that this drug improves bone health, but there is also some evidence that it may actually have an effect on cancer cells, and the fact that this was seen in this population is very exciting." 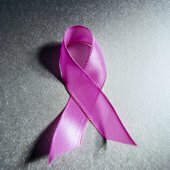 "This is going to open up a new opportunity for patients, and also for further research," said Dr. Edith Perez, chairwoman of the breast cancer clinic at the Mayo Clinic in Jacksonville, Fla. "It has some limitations in that it was done only in premenopausal women, but it is consistent with other studies that have been reported with other drugs in that same class." A national study is now looking at both pre- and postmenopausal women and Zometa, Perez added. The American Society of Clinical Oncology has more information on breast cancer.